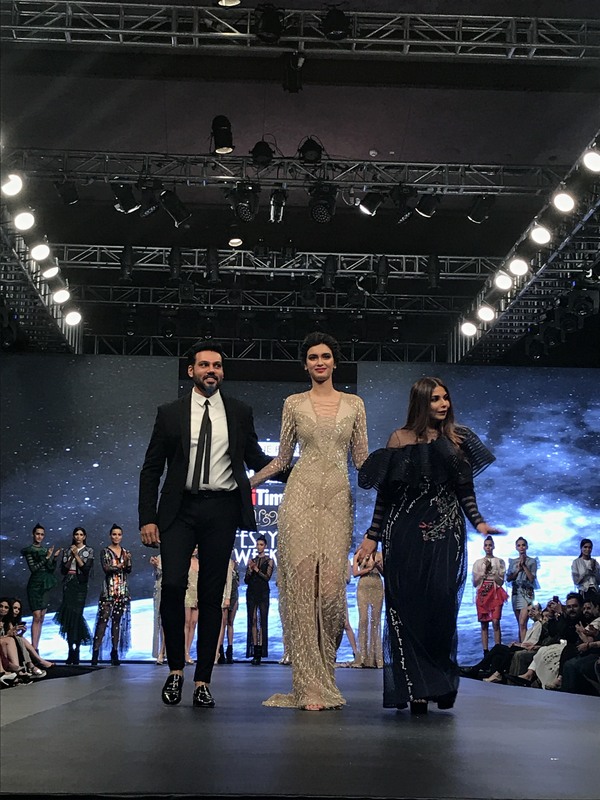 New Delhi, November 4, 2017: The Kohler Delhi Times Lifestyle Week co-powered by Panasonic Beauty culminated on a highly glamorous note with the gorgeous Diana Penty walking the ramp as showstopper for the designer duos, Falguni and Shane Peacock. The splendid event held at Andaz Delhi, a luxury lifestyle hotel by Hyatt, saw some of the country’s biggest designers such as Pia Pauro, Siddartha Tytler including, Falguni and Shane Peacock, showcase their couture and prêt collections, which was greatly appreciated by the audiences. 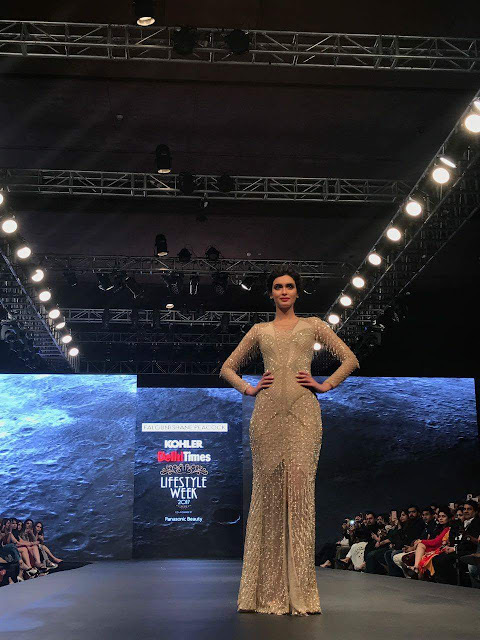 Bollywood diva, Diana Penty mesmerized the audience as she walked the ramp as the showstopper dressed in a golden outfit for Falguni and Shane Peacock. The collection presented by the outstanding duo showcased their signature use of feathers, sequences and prints. While Pia Pauro’s collection, Wonderflip, presented by Sunar Jewels, plays with lots of colours, nomadic embroideries, layering and cool cotton fabrics to make those long hours of dancing comfortable; designer Siddartha Tytler’s collection crafted in black, earthy tones with highlights in gold was all about Indian designs with a contemporary twist. 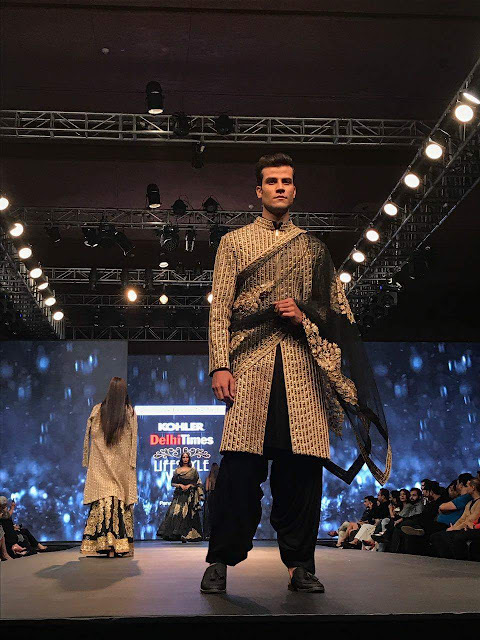 The day 2 of Kohler Delhi Times Lifestyle Week also witnessed celebrated model Laxmi Rana, Sonalika Sahay, Candice Pinto, Deepti Gujral, Donna Masih and others walking the ramp showcasing the work of the designers. 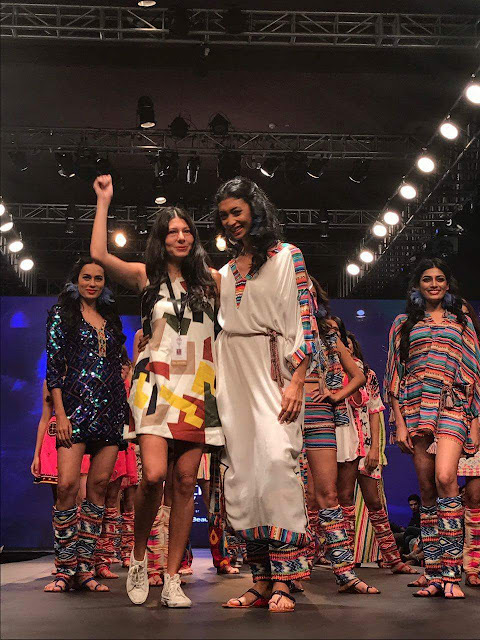 While model Deepti Sati (Miss India 2014 finalist and actress) opened the show for Falguni and Shane Peacock, Anukriti Gusain (fbb Femina Miss Grand India 2017) closed the show for designer Pia Pauro amidst a thunderous applause from the audience. 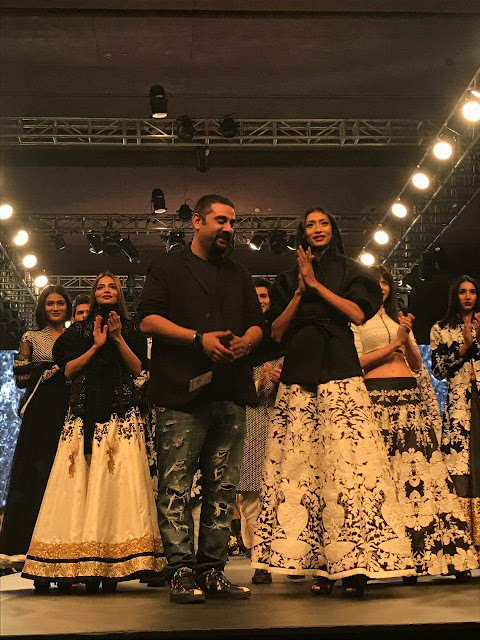 The 2-day premium lifestyle week was an extravagant affair with labels, designers, models and celebrities like fashion designer Jatin Kochhar, Charu Parashar, Rina Dhaka, TV actor Karan Vohra, stand-up comedian Amit Tandon, and actress Anshul Chauhan among others keeping their best foot forward.